'Tis the season for shopping and decorating and holiday parties. By far my favorite time of year! 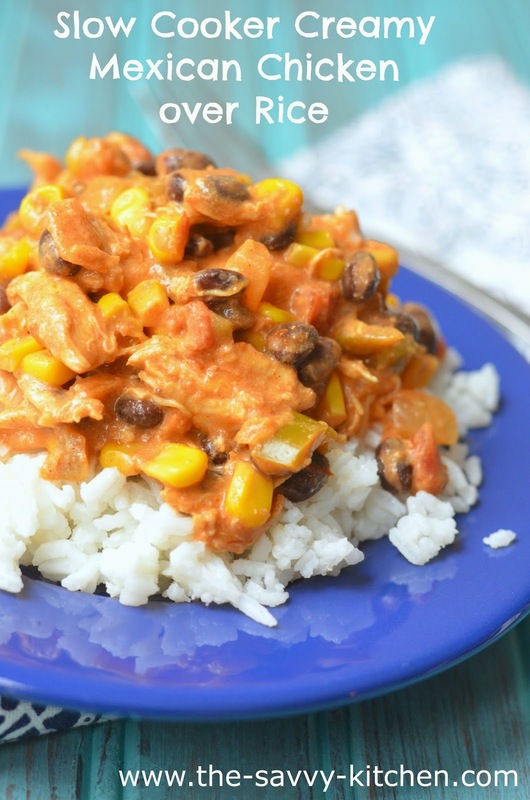 With probably almost every minute of your social calendar booked up this month, easy slow cooker recipes will most likely be your best friend. Throw this on in the morning before you leave for work and you'll have a delicious meal waiting for you when you get home. Which leaves you more time for shopping and decorating and holiday parties! 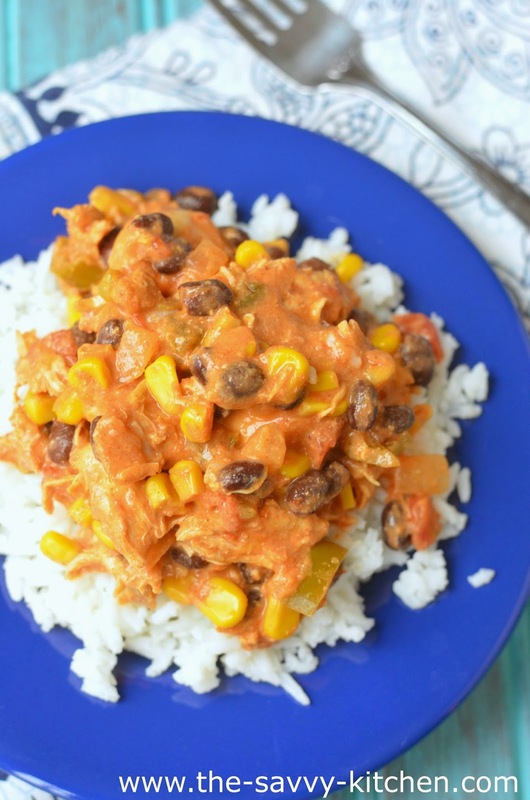 This slow cooker recipe has to be one of my favorites. It's a twist on another go-to of ours, but I made it a little more feisty by switching a few ingredients and adding taco seasoning. It's creamy and decadent, plus has just the right amount of spice from the taco seasoning and salsa. This was wonderful served over rice, and Chris and I also had it for lunch the next day in a tortilla. Equally as delicious. Enjoy! Put frozen chicken breasts put into a slow cooker. Add the black beans, corn, salsa and taco seasoning. 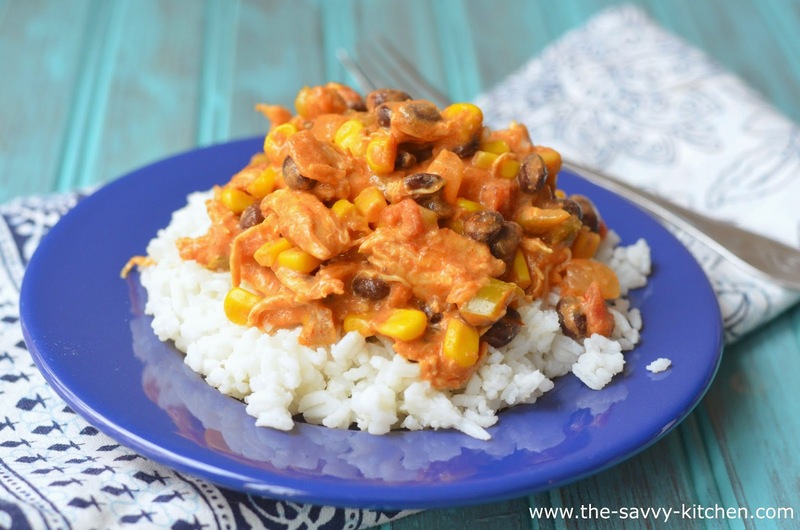 Turn slow cooker to LOW and cook for 4-5 hours or until chicken is done. Once done, shred chicken into small pieces and return to slow cooker. Add cream cheese and continue cooking on LOW for 30 minutes. Stir so well combined. Serve over rice.